Increase plant effectiveness. Future-proof your operations. What you don’t know about your availability risk may kill the efficiencies in your operations. 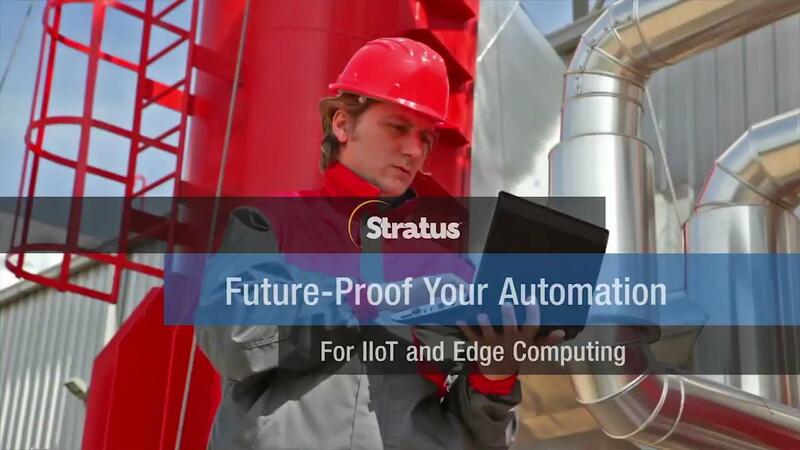 Stratus paired with Rockwell Automation is the best combined server solution and Industrial Automation (IA) application for removing the complexity from availability while creating a secure Connected Enterprise. As a Rockwell Enompass Partner, Stratus delivers continuous availability for Rockwell’s FactoryTalk® View SE, FactoryTalk Historian, FactoryTalk ProductionCentre and other critical plant applications. For over 10 years Stratus has partnered with Schneider Electric, the global specialist in energy management, to achieve collaborative automation via complementary technologies that maximize productivity and help customers meet their business objectives. As an EcoStruxure™ partner, Stratus works closely with several Schneider Electric operating groups, including Building Management, Invensys Process Systems (System Integration), and AVEVA distribution, to provide availability solutions that keep customers’ manufacturing automation and building management systems up and running to meet the demands of today’s always-on world.